What’s Stonewall got to do with OD? Dosey Doe your OD partner! In 2003, three gay staff (including me) had an ambition to establish an LGBT Equality Network to support our lesbian, gay, bisexual and transgender staff – to drive positive cultural change as part of our HR Rewarding and Developing Staff Strategy. Adopting the Stonewall mantra ‘People perform better when they can be themselves’ we wanted more colleagues to be themselves, to celebrate their diversity, reducing personal stress, challenge homophobic behaviour, and fulfil their potential; in essence to feel safe in a ‘gay friendly’ work environment and to be ‘out and proud’ role models for both current and potential LGBT students and staff. For LJMU, we wanted to be a destination of choice to study or work, where LGBT people would have an excellent student and staff experience. This year we celebrated our network’s 10th Birthday, during LGBT History Month. From increasing understanding of sexual orientation equality amongst staff to improving our University’s external reputation, our network group is a vital instrument which supports our strategic business objectives. As Chair of the network I’m proud of our achievements attributed through the commitment, passion and ‘discretionary effort’ of many academic and professional services staff. Network members include straight staff, alumni as well as LGBT staff and students and external partners who we collaborate with on OD projects across sector organisations and the wider LGBT community. Each and every member of our network is an equality and diversity champion contributing to our University’s OD profile, recognised by our Board of Governors, VC and Senior Management Team. This is endorsed by and strengthened through our partnership with Stonewall since 2006 when LJMU joined the Stonewall Diversity Champions Programme. As a University we annually submit to the Stonewall Workplace Equality Index to evidence and benchmark our LGBT equality practice at an international level with a growing number of other public and private sector organisations. 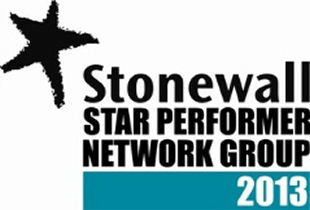 This year LJMU achieved 28th position in the Stonewall Top 100 Employers list, full marks in the ‘Gay By Degree’ HE sector benchmarking exercise for specific services supporting LGBT students and we were awarded Network Group of the Year in the North West. Stonewall as a key partner has enabled us to realise OD potential, recognising and valuing the difference LGBT people bring to our organisation. I encourage you to dosey doe your OD partner! Reason 3; Being at the number one spot in the People and Planet League table 2013. More cause for cheerfulness came in June 2013, with MMU hitting number 1 in the People and Planet League Table 2013 of 140 universities, after rising spectacularly from 91st when the annual tables were first produced in 2007. The annual survey audits systems, performance and attitudes to green living, with MMU scoring 59.5 out of 70. All university buildings are strictly monitored by an energy rating scheme, while the University’s new £75million Business School and Student Hub incorporates many new green technologies including rainwater recycling, borehole cooling and heating, and the new Birley Fields campus will be zero-rated in waste, water and heating. Reason 2; In July 2013 we celebrated ‘Topping Out’ which is roughly the half-way point in the £139m campus development project Birley Fields. Completion of the Birley Fields project will be MMU’s final step in our 7 into 2 campuses plan and £350 million capital Investment project. The site will house the Faculties of Education and Health, Psychology and Social Care, an Energy Centre, Car Park and 1,200 student rooms arranged in Eco-Townhouses. Reason 1; MMU being recognised as an Investors in People (IiP) Champion. In May 2012 MMU was recognised as having achieved Gold standard in an independent review against the new choices IiP Framework. We are the largest of only five UK Universities to have achieved ‘Gold’ level recognition and the recognition benchmarks MMU in the top 1.5% of organisations in the country. This was closely followed in September 2012 with our recognition as an IiP Champion. Champion status relates directly to the IiP assessment. Champions are selected from those organisations that achieve Gold recognition with 165 or more criteria met. In terms of involvement, IiP Champions are a prestigious group of role model organisations, in order to be accepted as a Champion we submitted an action plan detailing the steps we would take that promote the IiP framework and its benefits through best practice activities. By achieving Champion status, MMU is committed to sharing and also learning from its experience, encouraging good practice across the region, supporting continuous improvement and development of the IiP standard. As an organisation, we have been grappling with negative perceptions amongst staff as we have a legacy of it not having been regarded by all as a place to be cheerful. The Vice-Chancellor has in the past mused on whether this is the ‘Manchester effect’ – where because of the constant rain Mancunians tend to be more negative! So reasons to be cheerful, yes, yes and yes. Through these and a range of OD interventions spanning the University, here at MMU we are now realising positive change across the organisation. IIP Gold and Champion status has been the catalyst for cultural change. Significantly, we have seen improvements to the extent to which people identify with the University and their pride in working here. Working with Investors in People and especially the wider framework, you are getting to the very heart of your organisation and gaining objective feedback. It is an invaluable opportunity to make a difference to your people, your customers and your stakeholders – providing a fantastic means of developing and embedding a culture of continuous improvement. 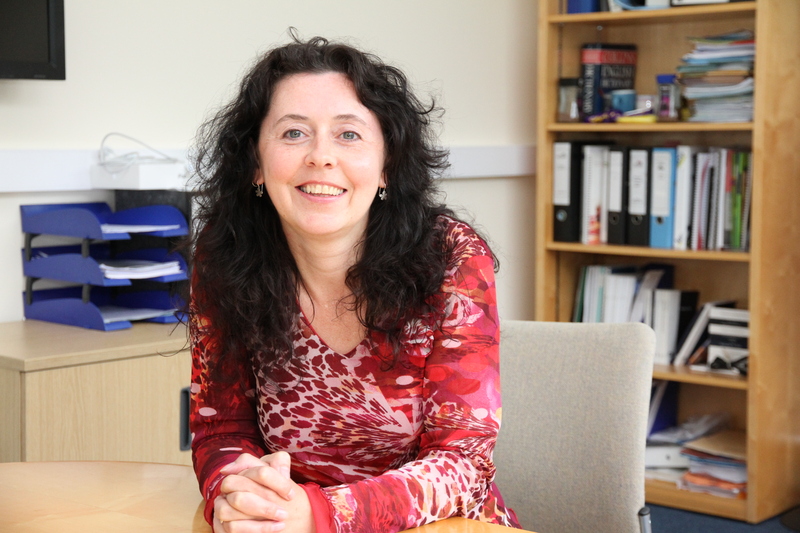 In fulfilling our commitment to being an IiP champion organisation, if you would like to discuss any of the good practice activities shared and particularly reap the benefits, as we have done, of assessment against the IiP standard, please contact me. One of the things we’ve been trying to do at the University of St Andrews is change the staff culture with regards to how people view CPD. Prior to 2011, although there were a range of courses and workshops offered freely to University staff, there were no structured development plans in place for different staff cohorts. Data from the most recent staff survey suggested that managers lacked confidence and competence in tackling some aspects of their role. There was also an indication that staff from different cohorts felt that the training on offer was often not fully relevant to their needs. Human Resources had also reported that performance was not managed as well as it could be across the organisation. The challenge was to develop an innovative range of development packages, designed to meet the learning needs and strategic goals of the organisation, and encourage staff to invest in their CPD. The desired outcome was to create a range of blended learning programmes, known as ‘Passports to Excellence’; Passport to Management Excellence, Passport to Administrative Excellence; Passport to Cleaning Excellence; Passport to Environment Excellence and (specifically for students) Passport to Professional Skills Excellence. The aim of the passport programmes was to create a culture of learning throughout the organisation, and this was achieved through using the skills and expertise of staff and students to develop their colleagues. Workshops and courses are therefore delivered by University staff (academic and support) in addition to professional internal developers and external experts, with online resources also utilised. A Train the Trainers workshop was developed for to support those who were new to training colleagues. The diversity of the staff involved in the project was integral to creating an organisational sense of learning, which resulted in the successful outcomes now being observed. Enable staff to be confident and competent in their roles. Build on prior learning and knowledge. Create a group of mentors and coaches to help develop less experienced staff in the future. Construct a mechanism which can link to Q6 review and development scheme actions. Passport to Management Excellence: To create a sense of a Management cohort within the Organisation. Passport to Cleaning Excellence: To achieve consistency of practice across the cleaning staff. Passport to Environmental Excellence: To help achieve a carbon neutral University by 2016 through staff and student behaviour change. Each passport comprises core and optional workshops, tailored to the development needs of each staff/student cohort. 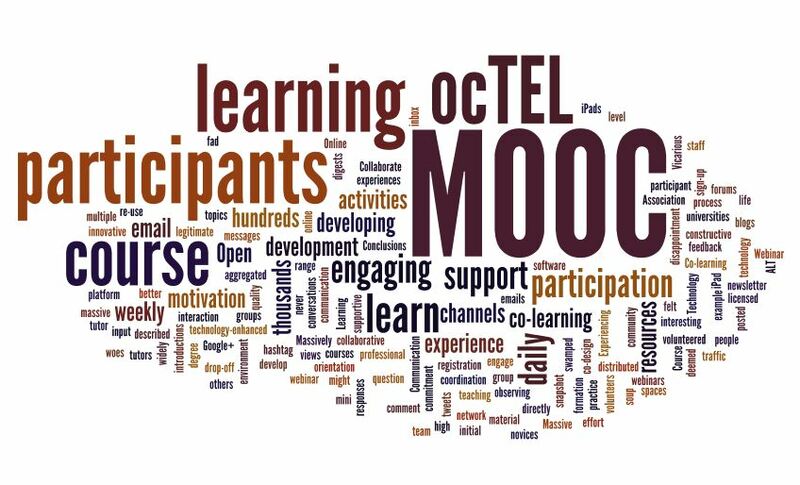 There are also opportunities built in to encourage independent learning and networking to increase cross-organisational information sharing and support. The learning is recorded in individual passports which forms a complete learning log for the participants. This engages the staff involved in a learning journey symbolised through the metaphor of travel and collecting stamps in their passports (learning logs). The metaphor is extended by sending postcards to participants with the latest news about their scheme. The programmes have proven to be hugely successful in engaging 510 participants (plus waiting lists) within 18 months of the project launch. This includes a large number of participants who have long service in the organisation, yet who had never previously engaged voluntarily in any development activities. Managers have reported behaviour change in themselves and their staff members. Managers have reported increased feelings of competence and confidence in carrying out the roles, having participated in at least 12 core workshops, networking events and independent learning. Students have reported increased confidence in applying for professional jobs and appreciate being able to enhance their CVs through participation. Staff reporting that they have taken active steps to reduce energy consumption as a result of the Passport to Environmental Excellence. Staff have reported success in applying for promoted posts which they partially attribute to participation in the Passport scheme. 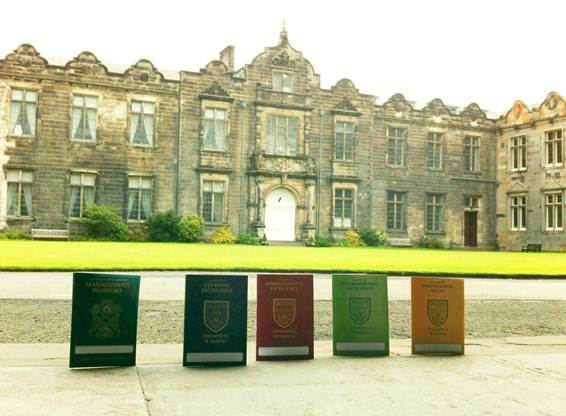 The passport programmes have increased the learning and development ‘reach’ within the University. Many participants are engaging in voluntary training and development for the first time in their (often long) careers. 54% increase in participation in learning and development events. Increase in sharing of information across the Institution through the formation of linked networks. A reduction on the reliance on external training consultants as more staff come forward to act as internal trainers. A shift in the mind-set of staff members from seeing training and development as a sporadic activity, to one of continuous learning and development . The passport programme has led to an increased sense of professionalism amongst staff in the University. The success of this project has led to additional demands from staff groups for a Passport to Warden Excellence, Passport to Technical Excellence, and Passport to Catering Excellence which will be delivered in summer 2013.